Today is Remembrance Day in Canada and Veterans Day in the U.S. So across North America, there will be commemorative tributes honoring the men and women who have sacrificed their lives in military service. And we will stop at the 11th hour of the 11th day of the 11th month, of this the 11th year to pause and mark the occasion with a moment of shared silence. But while we all find our own way to honor this day, what about your non-profit, club or association? Is this the type of occasion that your organization should celebrate or leverage for awareness-building? Raise A Flag: I had an email from a group helping to promote a fundraising initiative for a veteran’s residence in the Toronto area. They were asking people to buy a flag to put on the lawn of the building on Remembrance Day. Hero Miles: The nonprofit Fisher House Foundation administers the "Hero Miles" program for the Department of Defense in accordance with Public Law 108-375, Section 58, the FY 05 Defense Authorization Act. The program is comprised of individual airlines whose passengers donate their frequent flyer miles to assist service members and their families. Specifically, Fisher House Foundation provides free airline tickets to military men and women who are undergoing treatment at a military or VA medical center incident to their service in Iraq or Afghanistan, and their families. AMillionThanks.org: offer partnership opportunities for companies and non-profits to help their organization in assisting U.S. Service Members who are serving our country. 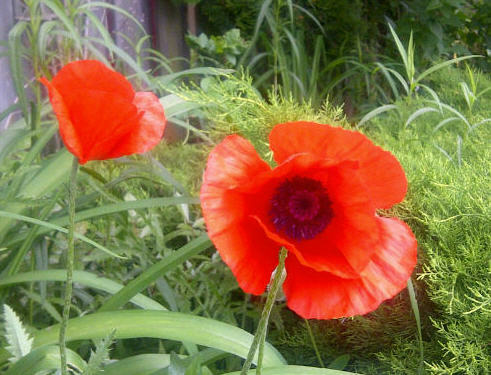 Will your organization be marking Remembrance Day or Veteran’s Day today? We’d love to hear your story, so drop us a note in the comments below.